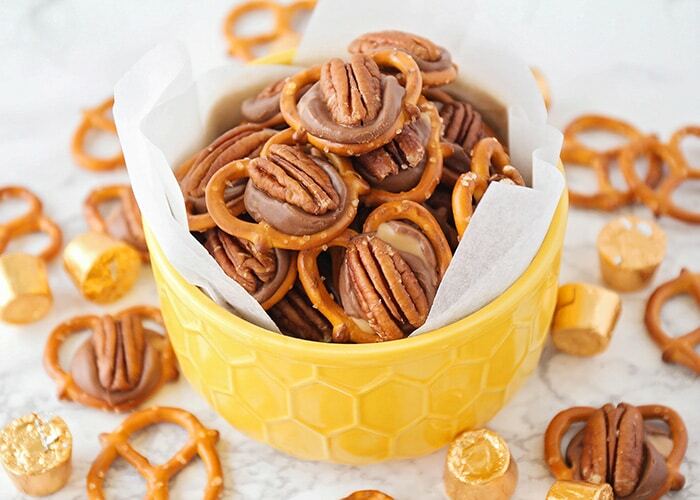 Rolo pretzel turtles are a the perfect salty, sweet and nutty combo. 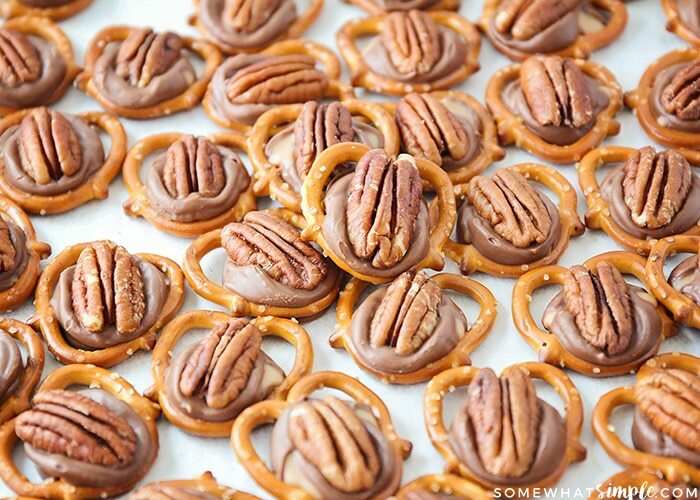 Made with pretzels, Rolos and delicious pecans, there is nothing better than these delicious treats! 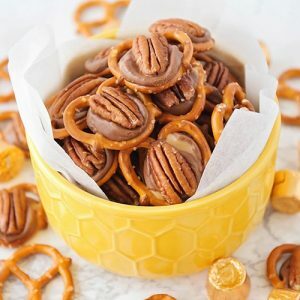 These pecan Rolo pretzels are delicious and easy to make! Chocolate is definitely my favorite food group. 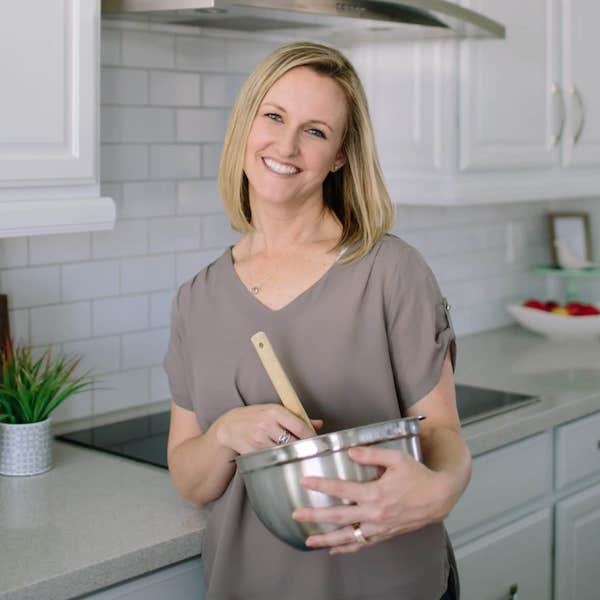 Some of other favorite chocolate recipes that are easy to make are these amazing Homemade Brownies, Chocolate Chip Cookies and these simple Cake Mix Cookies. I love the flavor of a pretzel Rolo pecan combination! The salty and sweet taste coupled with the crunchy/smooth texture – these homemade pretzel turtles are seriously delicious! 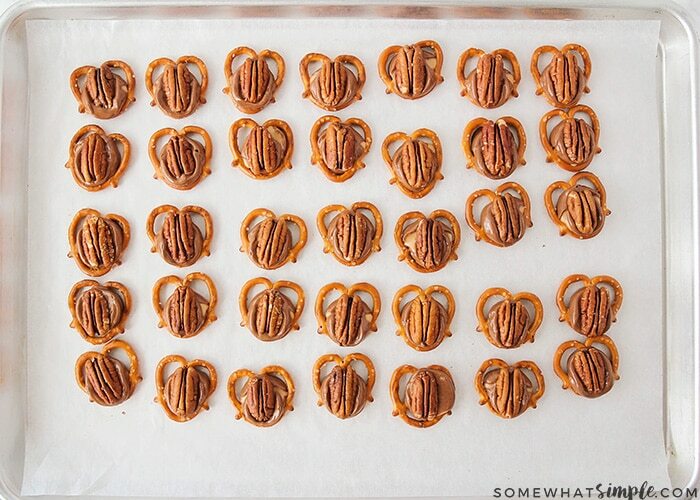 First, lay out your pretzels on a cookie sheet. 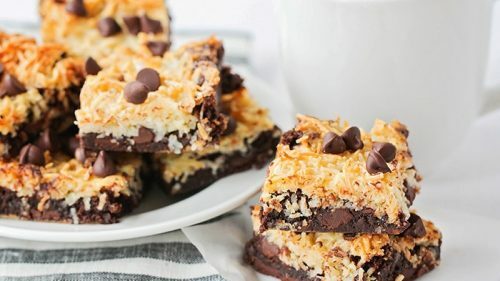 Place your cookie sheet in the oven for just a few minutes until your chocolate barely starts to melt but still holds its shape. 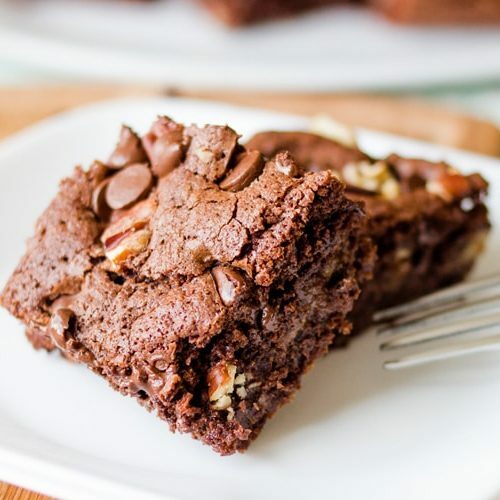 Pull the cookie sheet from the oven and immediately press the pecan into the chocolate. Just a word of caution, these pretzel truffles are bite-sized, which can be very dangerous for treat-loving people like me! If I leave them out on the counter to cool, they have been known to disappear before I even know how many I ate- don’t say I didn’t warn you! How Long Do Rolo Pretzel Turtles Last? If you’re able to resist the temptation to eat them all at once, place any remaining pretzel turtles in an airtight container for storing. You can store them in the fridge or on the counter and they’ll stay fresh for several days. I prefer to leave them on the counter to keep the chocolate and caramel from getting hard. However, if they’re on the counter and you have kids, don’t expect these to last through the night. 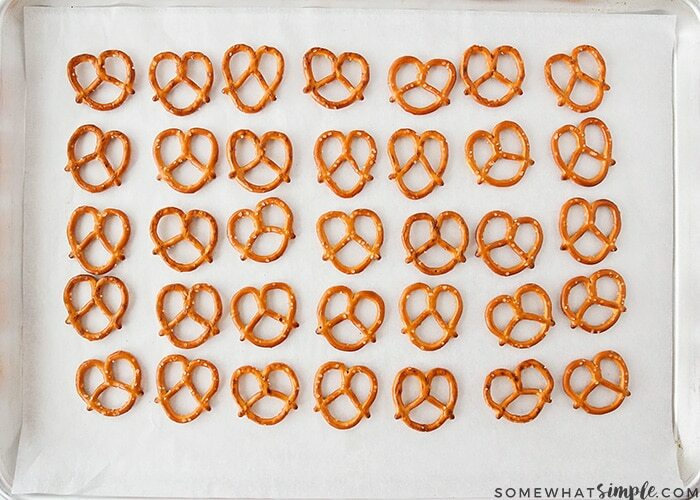 Lay out your pretzels in a single layer on a cookie sheet. 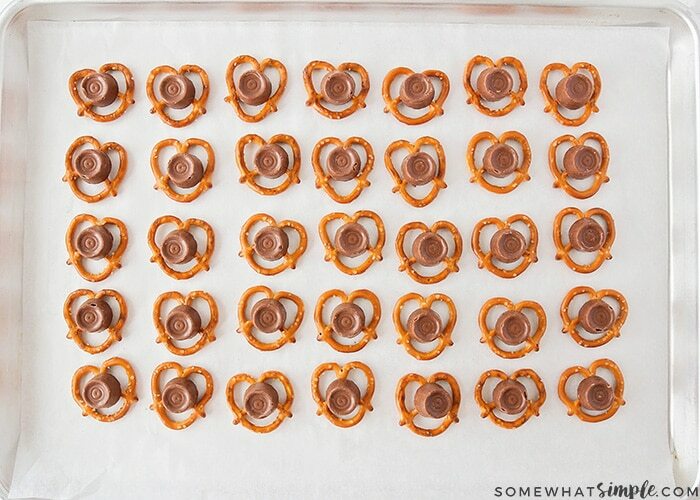 Place one piece of chocolate on each of the pretzels. 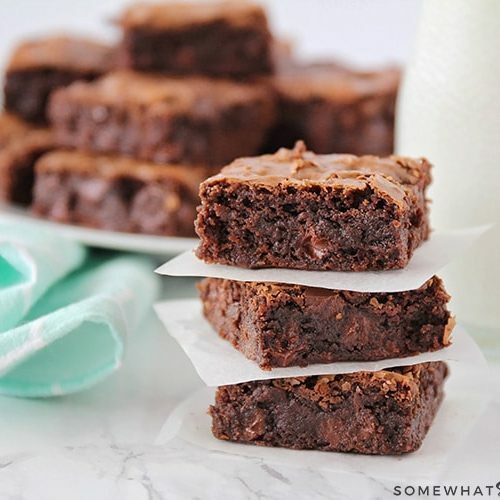 Place the tray in the oven for 4-5 minutes or until your chocolate just barely starts to melt. You want it to retain its shape. Remove from the oven and immediately press a pecan down on the chocolate. Let it cool completely and then enjoy! Have you tried Rolo Pretzels before? 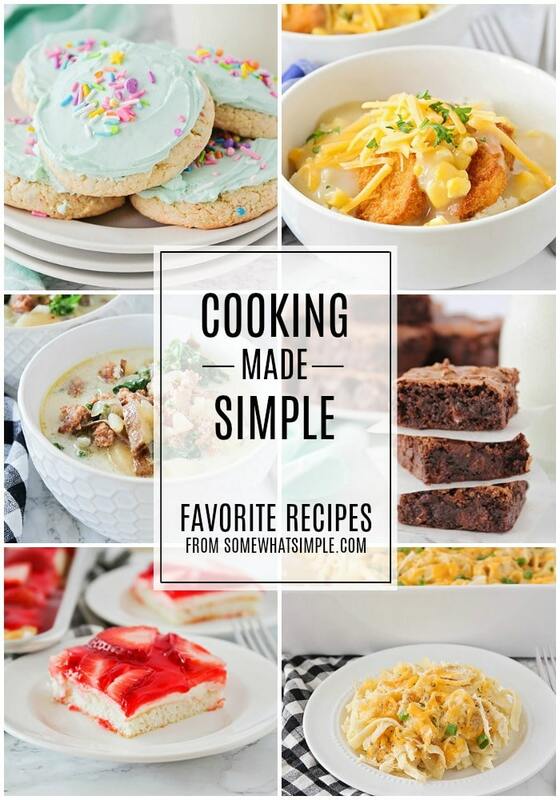 Leave us a comment below on your favorite variations – I’d love to try a few! 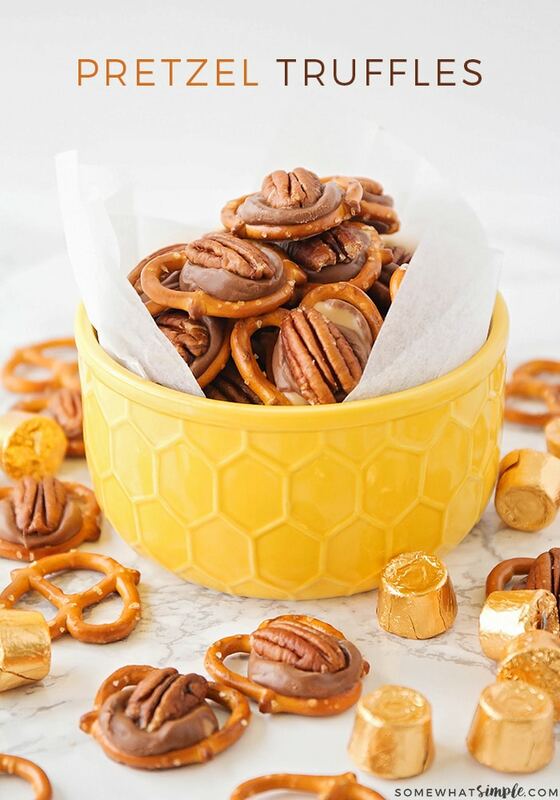 These rolo pretzels are my go-to when I need to bring something over to a party!! 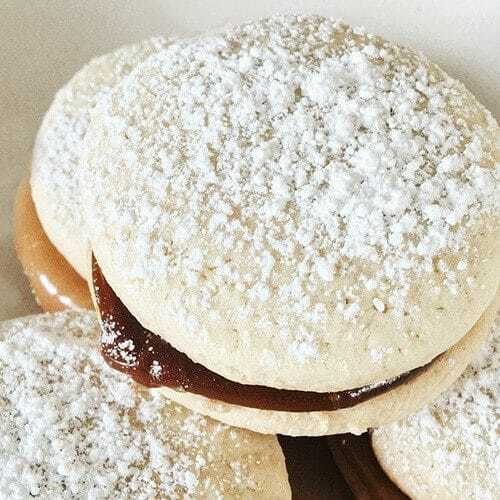 Everyone loves them and they’re super easy to make! I can’t ever resist the combination of caramel and pretzels! These are so good!! 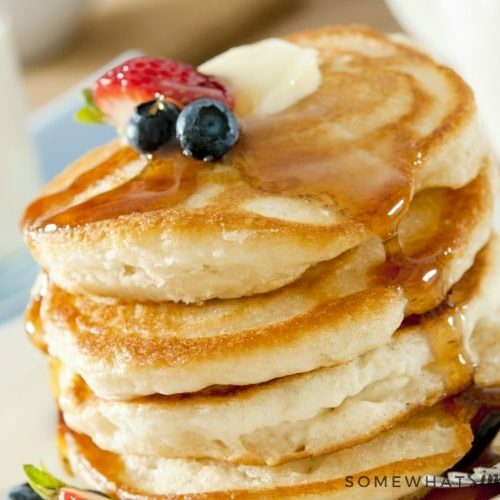 I love the combination of sweet & salty!! 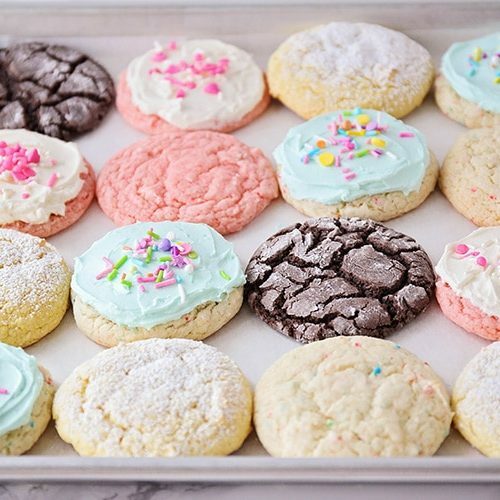 These make great gifts & are always a hit! These look so simple and fun! 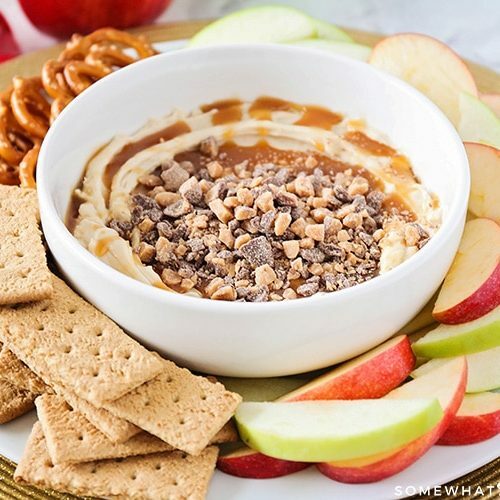 Such a great snack to throw together!